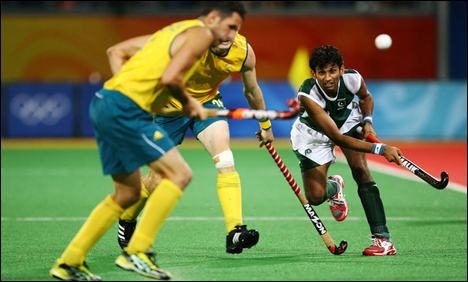 Pakistan has defeated Australia in the final of the Tri-Nation Hockey Tournament played in Perth. Pakistan were ahead by one goal at the end of the first half and continued their dominance into the second half. The final score was (4-3). Mohammed Imran, Sohail Abbas, Shakeel Abbasi and Tauseef Ahmed scored for Pakistan. This acted as a perfect revenge for the loss in Azlan Shah hockey tournament in Malaysia.